British Gas is set to ruffle feathers this week when it announces a pre-tax profit of more than £350million for the first six months of the year. Despite the relatively mild winter, Britain’s biggest energy supplier managed to generate a half-year profit of £352million before tax. One reason why British Gas has enjoyed such a profitable six months is that the firm raised electricity and gas tariffs in August 2011, just before the onset of cold weather, at a time when many households rely more heavily on central heating. The price hike attracted criticism from energy watchdogs and campaigners, not least because wholesale energy costs had declined or remained stable for much of 2011. The five other leading energy firms operating in the UK also raised prices late last year, so customers were limited in their capacity to shop around for the best deals. Unfortunately, one consequence of the rising tariffs was increased fuel poverty, which affects millions of households in England and Wales. Fuel poverty occurs when a household spends at least ten per cent of its income on gas and electricity. British Gas customers may be upset to discover that, despite the relatively mild winter of 2011/2012, the energy supplier’s pre-tax profit of £352million is 26 per cent higher than that which was reported during the same period last year. Customers are likely to be even more unsettled this winter, when wholesale fuel costs are expected to increase, prompting energy suppliers to raise tariffs yet again. Some industry experts predict that domestic energy bills will increase by as much as £100 over the next year and a half. Head of Energy at Consumer Focus, Richard Hall, stressed that British Gas had yet another opportunity to control the cost of household energy bills after generating such an enormous profit. Mr Hall said: “Analyst forecasts suggest profits will be up on last year. If so, British Gas should at least put its customers at rest by cutting the rhetoric about imminent bill hikes”. 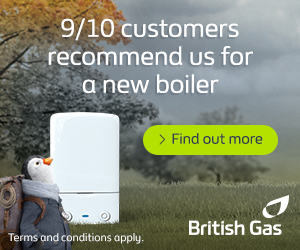 Whether British Gas is able to cut the rhetoric remains to be seen. What is clear, however, is that the energy giant is unlikely to be cutting its tariffs any time soon.